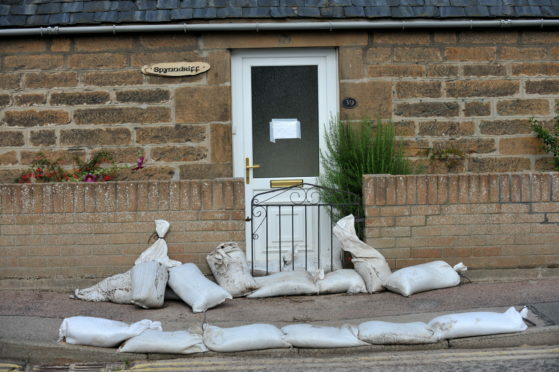 Two major flood schemes in Moray could be put on the back burner in order to save money on developing major projects. More spending on the proposals for Hopeman and Portessie could be pushed back until 2023 at the earliest as part of the long-term plans. Heavy rain has already resulted in flooding affecting homes and roads in Hopeman this year while Portessie remains at risk of high tides. However, senior officials at Moray Council have recommended the defence plans should now sit idle for the next five years to cut down on unnecessary expenditure. Combined, the flood schemes are estimated to cost about £4.2million and will need Scottish Government backing to be built. Yesterday, Dave Ball, chairman of Hopeman Community Association, stressed the coastal village remained at “high risk”. He said: “We were hit about a fortnight ago. It was a downpour but was by no means biblical and I understand one person is out of their home still.